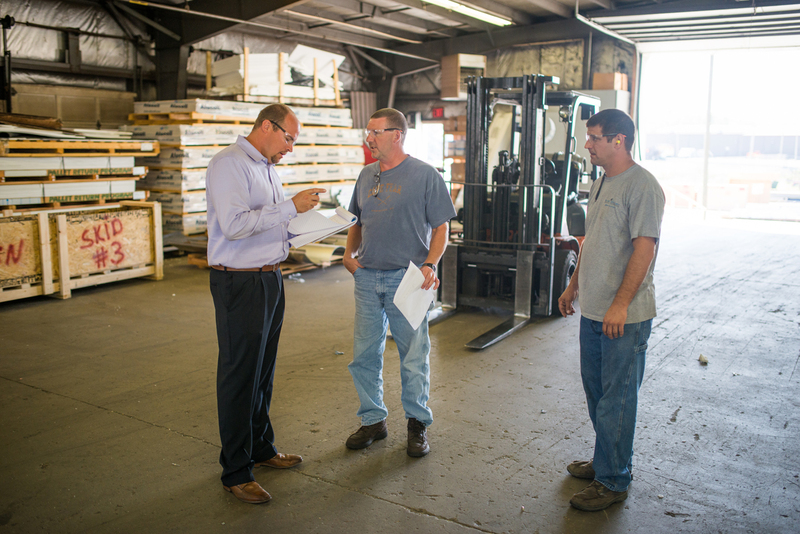 Our skilled project managers are the leaders of each project fulfillment team and ensure each project receives the attention it requires through every step of the process. Our project managers represent all we do to support each project. Our in-house team of estimators, engineers, project managers, and safety personnel understand the construction process, as well as the importance of effective communication throughout the project timeline. That means consistent internal and external communication, and it is our goal to be your project resource from initial design through final punch lists. We package and ship all of our systems based on customer needs. Each delivery will include detailed labeling, a packing list, and an elevation sheet indicating where products are to be installed on the project. Everything we provide is pre-fabricated, custom crated, and then sent to the jobsite. Our packing list and elevation sheets even include a traceable panel number so that if a panel is ever damaged, the issue can be promptly resolved reducing interruption to the construction schedule. We understand the sometimes difficult translation from the fabrication shop to the jobsite, which is why we offer onsite installation training and consultation services by our metal technicians for any project that requires additional attention. It’s our goal to ensure a sound installation and an aesthetically-appealing and fully-functional final product. The final stages of a project are crucial for all teams involved. The owner wants to resume uninterrupted operations, the contractor wants to avoid any and all issues that may affect the completion date, and the sub-contractors are trying to do their part without causing any delays.